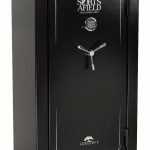 GunVault security anywhere, anytime. 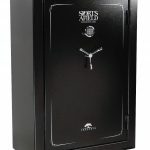 Get an extra measure of safety and security with these affordable handgun storage safes. Availabe in two sizes with two lock options, they are perfect for home, travel or concealed-weapon permit holders. 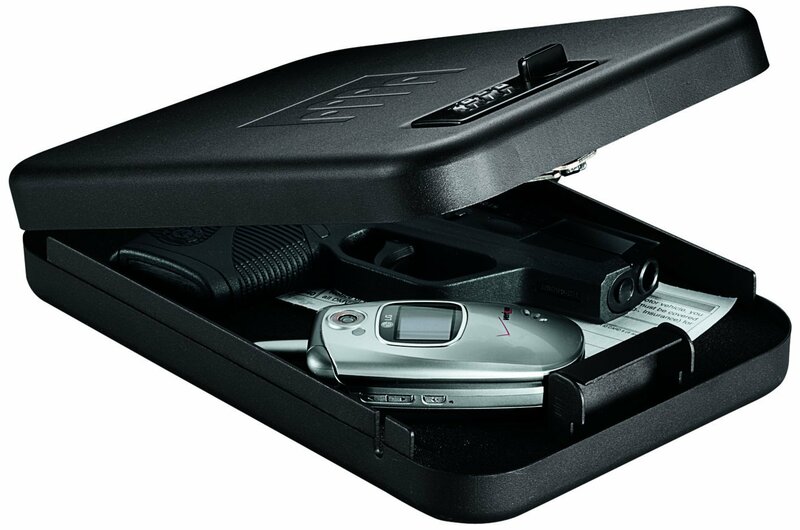 Cases meet TSA airline firearm guidelines and fit discreetly in a bag, briefcase, desk or under a vehicle seat. Each includes a 1500 lb test security cable. 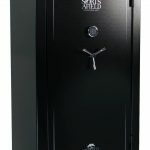 GunVault is pleased to introduce NanoVault thepact secure and affordable handgun storage safe solution. Available in two sizes the NanoVault is perfect for home travel or concealed-weapon permit holders. 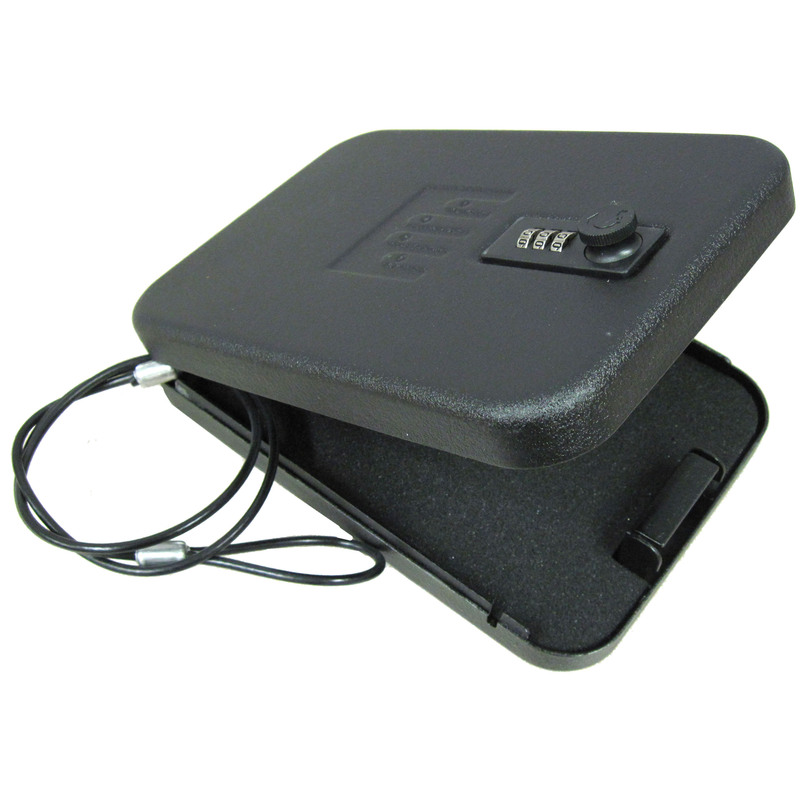 The NanoVault meets TSA airline firearm guidelines and fits discreetly in a bag briefcase desk or under a vehicle seat.The NanoVault features an easy-to-operate key lock system 18-gauge steel construction and 1/2-inch per side thick memory foam interior. Each unit is standard. 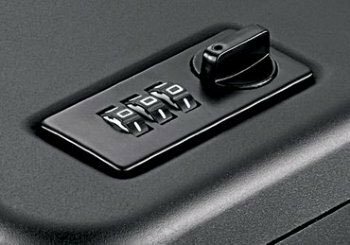 When the cable is wrapped around any fixed object and slid over the lock receiver inside the security box both the NanoVault and any valuables will be securely attached. 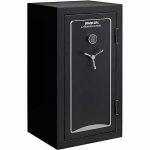 Be the first to review “GunVault NV300 NanoVault With Combination Lock” Click here to cancel reply.